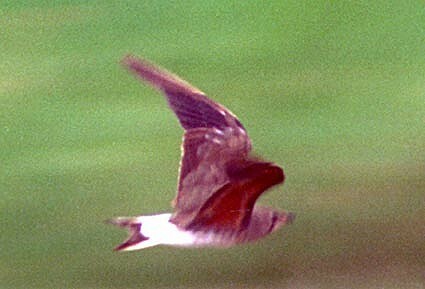 1-5 August, Workumerwaard and Doniaburen, Wûnseradiel, Friesland, first-summer, photographed, videoed (M Zekhuis, E Nieuwstraten, G Driessens et al; Nieuwstraten & Zekhuis 1997; Birding World 10: 290, 1997, Dutch Birding 19: 201, plate 204, 211, plate 218-219, 1997). 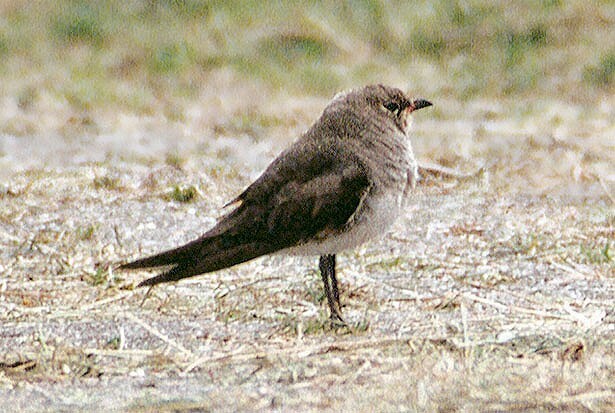 Although originally identified and submitted as Oriental Pratincole (cf van den Berg & Bosman 1999), it was accepted, after long debates, as an adult Collared Pratincole G pratincola(Wiegant et al 1999, van den Berg & Bosman 2001). 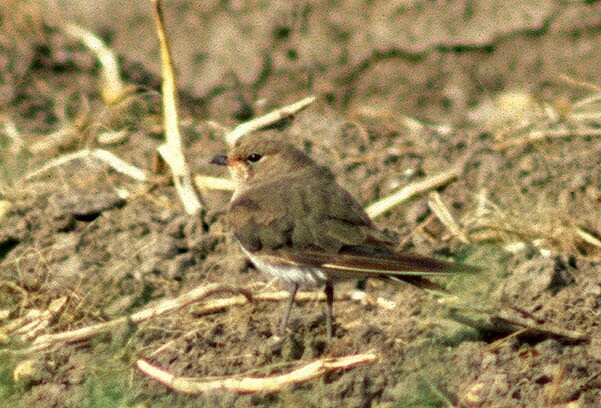 A record of an Oriental at Ängsnäset, Falsterbo, Skåne, Sweden, from 2 July to 6 October 2001 created renewed interest in the ‘Doniaburen pratincole’. Several identification features were critically investigated (cf Driessens & Svensson 2005), resulting in the recirculation of the record. 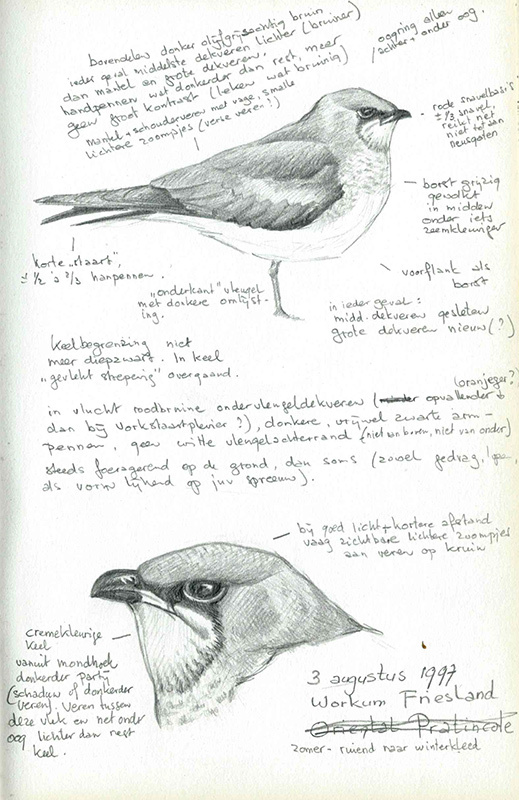 After again long debates and, amongst others, delays by files getting lost in the mail, it was not until 2006 when the bird finally was accepted as Oriental, the first for the Netherlands and, by then, the eighth for the Western Palearctic. A paper discussing this bird will be published in Dutch Birding before long. Annual Report 2005.